On July 12, 2018, an appellate court in Illinois issued a long-awaited decision allowing the dismissal of an out-of-state defendant for lack of personal jurisdiction. Ruling on due process grounds, the court’s decision flies in the face of the common practice that allows plaintiffs in asbestos-related lawsuits to force out-of-state defendants into Illinois state court, including to the nation’s busiest asbestos docket, Madison County. In Jeffs v. Ford Motor Company, plaintiff brought suit in Madison County, Illinois alleging that her deceased husband was exposed to asbestos-containing products in Michigan while working at Ford. The trial court denied Ford’s motion to dismiss for lack of personal jurisdiction, and instead found that Ford was subject to general, or all-purpose, jurisdiction in Illinois based on Ford’s substantial business dealings within the state. For an in-depth discussion of the trial court’s decision, please see our related post here. In reversing the trial court’s decision, the appellate court considered both plaintiff and defendant’s interpretations of Daimler AG v. Bauman, but ultimately allowed much of their opinion to rest on Ford’s reliance on Aspen American Insurance Co. v. Interstate Warehousing, which the court found mandates a narrow definition of general jurisdiction under Illinois law. (For a discussion of Aspen, please see our related post here.) The appellate court found Aspen controlling when rejecting plaintiff’s argument that maintaining an agent to receive service of process—a condition of doing business in Illinois as an out-of-state corporation—was equivalent to consent to general jurisdiction. It further held that any argument equating registration with consent would similarly fail. The appellate court next considered the Illinois long-arm statute’s ability to hale Ford into Illinois state court without case-specific contacts. The Illinois long-arm is limited only by the requirement that it comport with due process standards under the Illinois Constitution and United States Constitution. Under Aspen, because Ford is incorporated in Delaware and has its principal place of business in Michigan, it may only be subject to general jurisdiction in Illinois in “exceptional circumstances.” Consistent with Daimler and Aspen, a defendant may only be subject to general jurisdiction when their contacts are so continuous and systematic that the defendant is “essentially at home in the forum.” Looking to Ford’s contacts in Illinois: 7.5% of global employees, 5% of independent dealerships, 4.5% of sales, the court determined that despite Ford’s major business contacts, it could not be said to be essentially at home in Illinois. Despite the fact that this opinion is unpublished and unable to be cited as precedent, its potential effect on future rulings should not be undervalued. Given that a once typical ruling in Illinois trial courts has now been reversed, at least in the Fifth District, it would seem likely that trial courts will now rule in favor of defendants asserting lack of personal jurisdiction in circumstances similar to those in Jeffs. Another interesting aspect will be how this ruling will affect filings in Madison County. All of this said, the presence of a potentially viable defense may not mean the end of litigation for a defendant asserting it. There remains the potential that plaintiffs may come to the individual defendant’s home state to sue them there. In some circumstances, this may still be a favorable outcome. In others, it may be best to remain in, for example, Madison County, for a variety of reasons. This is a strategic decision that should be carefully considered based on the facts of each individual case. Nonetheless, the Jeffs decision marks a clear procedural victory for out-of-state defendants in asbestos litigation involving non-Illinois exposures. Since the United States Supreme Court’s decision in Daimler AG v. Bauman, 134 S. Ct. 746 (2014) defendants, especially those defending product liability claims, have increasingly pursued motions to dismiss on personal jurisdiction grounds. A Connecticut superior court recently denied such a motion and held that a Texas-based manufacturing company was subject to personal jurisdiction in Connecticut, even though the defendant’s sales into Connecticut were less than .01% of total company sales, and the defendant did not sell to plaintiff’s workplace until after he worked there. Daimler held that a specific jurisdiction is limited to where the defendant’s in-state activities are continuous and systematic, and give rise to the liabilities sued on, the Connecticut decision, suggests that at least one Connecticut superior court does not consider the Daimler as greatly limiting the reach of the state’s long-arm statute. Conn. Gen. Stat. § 33-929 (f)(3). The plaintiff argued that the defendant Texas company was subject to the court’s jurisdiction under Conn. Gen. Stat. § 33-929 (f)(3) because plaintiff’s decedent was allegedly exposed to defendant’s asbestos-containing talc while working at an American Standard plant in Connecticut. Plaintiff further argued that the defendant had a reasonable expectation that its products would be used in the State of Connecticut. Defendant was a producer of talc, American Standard allegedly used that talc in the manufacturing process, and American Standard was one of the defendant’s customers. Additionally, plaintiff proffered that the defendant purposefully sought out the Connecticut market, and shipped products directly to consumers there. Defendant, on the other hand, argued that the plaintiff’s decedent’s injuries could not have arisen out of any transaction by the defendant in Connecticut because the defendant did not acquire rights to mine allegedly asbestos-containing talc until three years after plaintiff’s decedent stopped working at the American Standard plant. Defendant manufacturer also argued that it did not have the minimum contacts in the forum state to justify jurisdiction because it never had offices, employees, or sales agents in Connecticut, had no sales to any company in the forum state after the 1970s and the few sales that it did have into Connecticut were less than .01% of its sales in any given year. The court used a two-part test to consider the defendant’s challenge to personal jurisdiction via motion to dismiss. First, the court determined that the state’s long-arm statute authorizes jurisdiction over the defendant because the “arising… out of” language does not require a plaintiff’s cause of action and defendant’s contacts with the forum state to be causally connected. The court further agreed that a plaintiff does not need to show that the defendant solicited business in the state, only that the defendant could reasonably anticipate being sued by some person who had been solicited in Connecticut. In Rice, the plaintiff submitted a deposition transcript stating that, when the defendant was selling products to a distributor, defendant also knew who the distributor’s customer was. Sales records established that the defendant sent a sample shipment of twenty bags of talc to Connecticut in November 1972, and sales invoices showed numerous shipments to Connecticut between 1969 and 1976. Based on this evidence, the court concluded that it was reasonably foreseeable that the defendant could be sued in Connecticut. Under part two of the test, the court determined that whether the exercise of jurisdiction over the defendant under Connecticut’s long arm statute did not violate Constitutional principles of due process. Daimler held that a state could exercise personal jurisdiction over an out-of-state defendant if the defendant had minimum contacts with the forum state such that the suit does not offend the “traditional notions of fair play and substantial justice.” Rice found that “minimum contacts” was satisfied because the defendant shipped products to Connecticut (even if it was a small percentage of sales) and was aware of the ship-to-point when sending products to distributors. Moreover, the court reasoned that while the defendant shipped products to Connecticut after plaintiff’s decedent stopped working at the American Standard plant, the defendant shipped other products to Connecticut while the plaintiff’s decedent was allegedly exposed to defendant’s asbestos-containing products working as a painter. Rice found that jurisdiction accorded with “fair play and substantial justice,” based on five factors: (1) the burden that the exercise of jurisdiction will impose on the defendant; (2) the interests of justice of the forum state in adjudicating the case; (3) the plaintiff’s interests in obtaining convenient and effective relief; (4) the interstate judicial system’s interest in obtaining the most efficient resolution of the controversy; and (5) the shared interest of the states in furthering substantive social policies. Rice weighed factor (1) in favor of the defendant, stating that travel costs could be a burden because the defendant is incorporated in Texas and would have to defend a suit in Connecticut. According to the court, however, factors (2) through (5) all weighed in favor of the plaintiff. 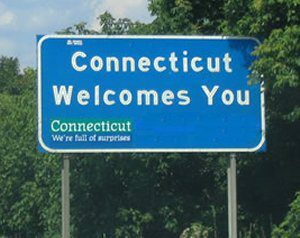 Connecticut has a strong interest in adjudicating personal injury actions involving its own citizens where the claimed injury was caused in part by a defendant who purposefully distributed products in the state. Furthermore, the plaintiff is a resident of the forum state and has an interest in obtaining convenient and effective relief in the state. The court decided that adjudicating in Connecticut would also be the most efficient use of judicial resources because the plaintiff has sued multiple defendants over a single and indivisible injury (mesothelioma). Requiring the plaintiff to maintain multiple actions in different jurisdictions would not only be inefficient, but impose a greater burden on the plaintiff than the burden of subjecting the defendant to suit in Connecticut. The Rice decision displays that shipping products to Connecticut, even only a small fraction of a company’s sales, may be enough to reasonably foresee being sued in Connecticut. This can be enough to subject a foreign company to specific jurisdiction in Connecticut, even if the dates of sales do not overlap with the timing of the alleged injury. Additionally, solely being incorporated in a distant state and incurring travel costs during trial likely will not be sufficient to establish that the traditional notions of fair play and substantial justice have been violated. As a trial court ruling, the Rice decision is not binding precedent. But if it is followed by other Connecticut courts, the result will be s a heavy burden on foreign corporations seeking to apply Daimler to limit Connecticut jurisdiction. There is no word yet on whether an appeal will be filed. On September 21, 2017, in Aspen American Insurance Co. v. Interstate Warehousing, Inc., No. 121281 (Illinois, September 21, 2016), the Illinois Supreme Court held that an out-of-state corporation must be “essentially at home” in Illinois before general jurisdiction may be found, rejecting plaintiff’s argument that the presence of a single warehouse in the state meets this standard. In a straightforward interpretation of Daimler AG v. Bauman, et al., 134 S.Ct. 746 (2014), the court confirmed that general jurisdiction requires “continuous and systematic” contacts with Illinois, which can be met by showing that a defendant is either incorporated in Illinois or has its principal place of business there. The Illinois Supreme Court’s ruling follows on the heels of two recent U.S. Supreme Court Decisions, both of which confirm that Daimler meant what it said about the limits of general jurisdiction, and Illinois now joins other states – such as Delaware, Missouri, and Rhode Island – which have rendered similar rulings. Aspen arose after Eastern Fish Company, a corporation in the business of importing fish products, contracted with defendant Interstate Warehousing Inc. to store its products at one of defendant’s warehouses located in Michigan. When the warehouse’s roof collapsed, the importer’s products were contaminated and deemed unfit for human consumption. Plaintiff, which insures Eastern, paid Eastern’s claim for the loss and then brought this subrogation action in the circuit court of Cook County. ¶ 3. Defendant moved to dismiss the complaint on the ground that Illinois courts lacked personal jurisdiction. ¶ 6. In response, Plaintiff first argued that because the dcfendant has a warehouse located in Joliet, Illinois, it was doing business in the state and thus subject to personal jurisdiction. Plaintiff further argued that because defendant Interstate was registered to do business in Illinois, it could be sued in Illinois. ¶ 8. The circuit court denied the motion to dismiss and the Appellate Court for the First District affirmed, finding that Plaintiff had made a prima facie showing of general jurisdiction. Illinois’ highest court reversed the lower courts’ decisions. The Illinois Supreme Court first examined the federal due process standards set forth in Daimler, as well as Illinois’ long-arm statute, codified at 735 ILCS 5/2-209 , which governs the exercise of personal jurisdiction over non-resident defendants. In doing so, the court followed in Daimler’s footsteps by finding that a “plaintiff must make a prima facie showing that defendant is essentially at home in Illinois.” ¶ 18. In order to do so, a plaintiff must show that the “defendant is incorporated or has its principal place of business in Illinois or that defendant’s contacts with Illinois are so substantial as to render this an exceptional case.” Id. 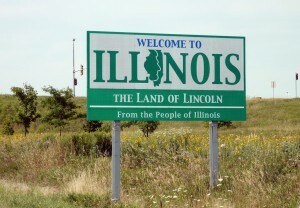 Although the defendant does business through its Joliet warehouse, the court found that it was insufficient to establish Illinois as a “surrogate home,” even though the evidence established that the warehouse had been in continuous use in Illinois for 25 years. ¶ 19. If it were sufficient, the court reasoned, then that the defendant would be considered at home in every state in which it has a warehouse, opening up numerous forums for it to be sued within. Id. The U.S. Supreme court had previously rejected this idea in Daimler, holding that “[a] corporation that operates in many places can scarcely be deemed at home in all of them.” Daimler AG v. Bauman, 134 S. Ct. 746, 762 n. 20 (2014). 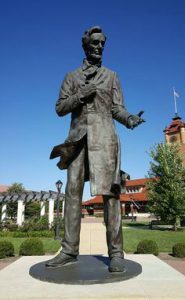 Aspen followed suit and held that general jurisdiction was not authorized under Illinois’ long-arm statute as it would deny defendant due process of law. ¶ 20. The Illinois Supreme Court next looked to the Business Corporation Act of 1983 (“Act”) to see if it permitted general jurisdiction. Upon examination, the court found that Defendant’s registration to do business within Illinois under the Act is not enough to subject it to personal jurisdiction within the state. The court further found that the fact that the defendant has a registered agent in Illinois for service of process is also not enough to subject it to personal jurisdiction. ¶ 22. The court reasoned that the Act does not require out of state corporations to consent to general jurisdiction as a condition of doing business in Illinois and that a corporation does not waive its due process rights by registering in Illinois or appointing a registered agent. ¶ 24. For these reasons, the court held that general jurisdiction is also not permitted under the Business Corporation Act of 1983. Illinois now joins other states which have made clear that they will apply the Daimler court’s test for personal jurisdiction, requiring that a defendant’s “affiliations with the forum state be so ‘continuous and systematic’ as to render them essentially at home.” Under Daimler, this can be accomplished by a showing defendant’s incorporation in that state or by showing that the defendant’s principal place of business is located there. Daimler AG v. Bauman, 134 S. Ct. 746, 754 (2014) (quoting Goodyear Dunlop Tires Operations, S.A. v. Brown, 564 U.S. 915, 919 (2011)).” Accordingly, Aspen provides Illinois defendants a powerful new tool to fight forum shopping, and to ensure Constitutional due process to litigants in Illinois courts. The United States Supreme Court has issued two highly-anticipated personal jurisdiction decisions limiting suits against defendants who are not “at home” in a state, or alternatively, did not commit a wrongful act in that state. 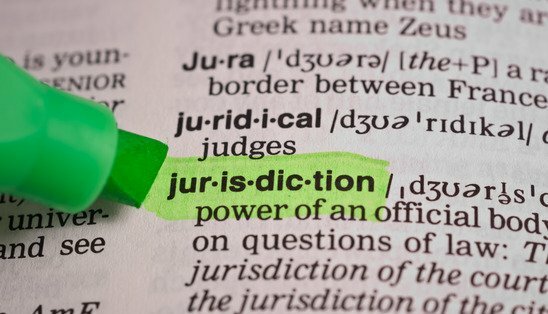 “General jurisdiction” exists over a defendant only where it is “at home,” generally where it is incorporated or has its principal place of business. “Specific jurisdiction” exists only when the claims in a lawsuit arises out of a defendant’s connection to the jurisdiction, such as selling products. The Supreme Court reaffirmed these limits on jurisdiction in Bristol-Myers Squibb Co. v. Superior Court of California, San Francisco County, No. 16-466 (June 19, 2017). Some 678 plaintiffs (592 of whom were out-of-state residents) filed suit in California state court against Bristol-Myers Squibb Company (“BMS”), asserting various state-law claims based on injuries allegedly caused by a BMS drug called Plavix. BMS moved to quash the non-residents’ suits for lack of jurisdiction. BMS was headquartered and incorporated outside California, so there was no general jurisdiction. 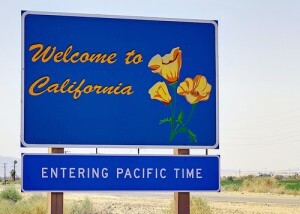 Despite the fact that the nonresidents had not taken the drug in California, the California Supreme Court held that California courts had “specific jurisdiction to entertain the nonresidents’ claims.” The United States Supreme Court reversed. The California Supreme Court had applied a “sliding scale approach to specific jurisdiction,” finding that BMS’s “extensive contacts with California” permitted a “less direct connection between BMS’s forum activities and plaintiffs’ claims than might otherwise be required.” Because the claims of both the resident plaintiffs and non-resident plaintiffs were similar and “based on the same allegedly defective product and the . . . misleading marketing and promotion of that product,” the “less direct connection” requirement as met. Thus, the court reasoned, it had personal jurisdiction over all the claims of all the plaintiffs, even in the absence of any California conduct as to the out-of-state plaintiffs. This is true even if the defendant would suffer minimal or no inconvenience, even if the defendant has extensive contacts with the state, even if the forum had a strong interest in the application of its laws, and even if the forum state were the most convenient location for the litigation. Bristol-Myers should serve to help defendants limit the jurisdictions in which suit may properly be brought, and reduce forum-shopping in mass tort and perhaps other cases. On the issue of general jurisdiction, BNSF Railway Co. v. Tyrrell, No. 16-405 (May 30, 2017), the Supreme Court made clear that its 2014 ruling in Daimler AG v. Bauman precludes the exercise of general jurisdiction over a non-resident defendant unless that defendant has contacts which are so “continuous and systematic” so as to render that defendant essentially at home in the forum state. Thus, the Court rejected multiple theories on which plaintiff attempted to justify jurisdiction over BNSF in Montana. First, it ruled that the Federal Employers’ Liability Act (“FELA”), a federal law that allows railroad workers to sue their employers for injuries that occur on the job, does not itself create a special rule authorizing jurisdiction over railroads just because they happen to do business in a particular place. Second, and most notably, the Court held that a Montana law that allows courts in the state to exercise jurisdiction over “persons found” was in violation of the Constitution. That is, even if BNSF conceded that it is “found” in Montana, the Court held that exercising jurisdiction over BNSF must still be consistent with the Due Process clause. Under its earlier decision, the Court explained, BNSF Railway can only be sued in Montana if it is “at home” there – something which normally means that the company is either incorporated in the state or has its principal place of business there. With neither of those criteria met, the railroad was not so “heavily engaged in activity” in Montana as to present the kind of “exceptional” case in which jurisdiction could exist even outside the company’s state of incorporation and principal place of business. Thus, although BNSF could be sued in Montana for claims that are related to its business in Montana, it could not be sued there for claims that aren’t related to anything it did within the state. The Court’s two defense-friendly decisions on jurisdiction should bode well for defendants challenging jurisdiction, even in cases outside these specific factual contexts. 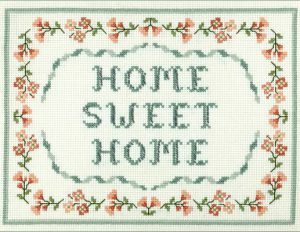 General jurisdiction can only exist where a defendant is actually “at home,” and creative efforts – such as California’s “sliding scale” – will not pass constitutional muster to establish specific jurisdiction without a clear connection, such as a wrongful act, actually occurring in the forum state. The Missouri Supreme Court recently held that an out-of-state defendant was not subject to jurisdiction in Missouri simply because it was registered to do business in Missouri and conducted activities there similar to those in other states. This decision reinforces the Missouri judiciary’s recent trend of limiting personal jurisdiction in cases with out-of-state defendants and is consistent with decisions around the country holding that registration does not confer jurisdiction. In State ex rel. Norfolk Southern Railroad Co. v. The Honorable Collen Dolan, 2017 Mo. LEXIS 66 (Mo. Feb. 28, 2017) the Supreme Court of Missouri dismissed Norfolk Southern Railway Company (“Norfolk”) for lack of personal jurisdiction. The plaintiff brought suit against Norfolk for injuries he sustained while employed in Indiana. Norfolk is principally located and incorporated in Virginia. Norfolk annually complies with Missouri’s foreign business registration statutes by registering with Missouri and designating a registered agent for service of process. Norfolk conducts substantial business and owns property in Missouri. However, Norfolk also operates railroad tracks and conducts substantial business in at least 22 states and its business in Missouri accounts for only 2 percent of its nationwide business activity. The Missouri Supreme Court determined that Norfolk was subject to neither general nor specific jurisdiction. Under the governing United States Supreme Court decision, Daimler AG v. Bauman,134 S. Ct. 746, 754 (2014), a court can normally exercise general jurisdiction over a corporation only when the corporation’s place of incorporation or its principal place of business is in the forum state. Because Norfolk was not headquartered or incorporated in Missouri, the court evaluated whether Norfolk represented an “exceptional case” where the contacts are so substantial and of such a nature as to render the corporation at home in that State. Applying Daimler, the Missouri Supreme Court explained that such an exceptional case requires comparing the corporation’s activities in the forum state with its activities in other states through “an appraisal of a corporation’s activities in their entirety, nationwide and worldwide.” Because Norfolk’s business in Missouri constitutes only 2% percent of its total revenue and Norfolk conducts substantial business in 22 other states, the court declined to exert general jurisdiction over Norfolk. The court also rejected multiple theories advanced by plaintiff to support specific jurisdiction over Norfolk. A court has specific jurisdiction if the defendant’s acts took place in the forum state, and here, the plaintiff pleaded no facts alleging the injury arose from Norfolk’s Missouri activities. Further, the Norfolk court found the fact that Norfolk engaged in the same “type” of business in the forum state and the state where the injury occurred irrelevant. A ruling otherwise would render every national corporation subject to specific jurisdiction in every state in which it conducted business regardless of where the injury occurred. 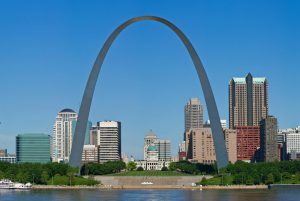 A St. Louis court recently granted a defense motion to dismiss on jurisdictional grounds, which may signal an increased willingness to decline to impose jurisdiction over foreign corporations that do no currently conduct business in Missouri. The court’s analysis measured the corporation’s contacts at the present time, not at the time of exposure decades ago. This ruling is in opposition of the trend of allowing plaintiffs to forum shop in the 22nd Judicial Circuit in the City of St. Louis, which has quadrupled its asbestos-related lawsuits since 2010 and is now the fourth largest asbestos docket in the country. In McGill v. Conwed, plaintiff allegedly sustained occupational exposure to asbestos while working as a laborer and carpenter in Kansas, Oklahoma, and Missouri from 1966 to 1976. During his deposition, plaintiff testified that his work with Conwed ceiling tiles occurred within Kansas. Conwed is not incorporated or principally located in Missouri. Conwed ceased manufacturing ceiling tiles in 1985. As a result, Conwed moved to dismiss for lack of personal jurisdiction. Conwed argued that Missouri lacks specific jurisdiction because the claim does not arise out of any conduct within Missouri. Conwed argued that the court lacked general jurisdiction because Conwed ceased manufacturing operations in Missouri in 1985; has not conducted business in Missouri since that time; is not registered to do business in Missouri; has no subsidiary in Missouri; does not have a registered agent in Missouri; and does not own property or advertise in Missouri. Conwed bolstered its argument with another recent St. Louis case, Smith v. Union Carbide, in which the court granted a motion to dismiss for lack of personal jurisdiction filed by DuPont, a company with greater contacts to Missouri. In that case, the claim emanated from alleged exposure to DuPont in Oklahoma, therefore defeating specific jurisdiction. While DuPont was neither incorporated nor had its principal place of business in Missouri, it had a subsidiary and registered agent in Missouri. Nonetheless, DuPont’s lack of incorporation and principal place of business in Missouri was sufficient for the court to decline to exert general personal jurisdiction. On January 19, 2017, Judge Joan Moriarty, one of two primary asbestos judges in St. Louis, granted Conwed’s motion to dismiss. Judge Moriarty agreed that no basis existed to assert special jurisdiction because the claim against Conwed did not arise out of exposure to any Conwed product or service in Missouri. Further, Judge Moriarty declined to exert general jurisdiction over Conwed, stating that “Conwed undeniably would have been amenable to suit in Missouri prior to 1985, when it did regular and systematic business in Missouri. But now it has no business in Missouri, and has not for over 30 years.” Because Conwed did not currently have systemic, continuous, and substantial connections with Missouri, there was no general personal jurisdiction. Notably, the court reached its decision without mentioning the United States Supreme Court’s ruling in Daimler AG v. Bauman, the controlling decision on personal jurisdiction. This ruling has positive ramifications for out-of-state defendants litigating asbestos products liability claims in St. Louis. 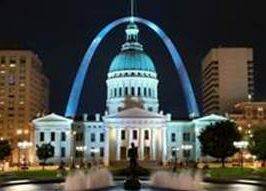 As Judge Moriarty is one of only two asbestos judges presiding in St. Louis, it can be expected that the decision in McGill v. Conwed will result in an increase in the amount of out-of-state defendants (particularly those who are not currently registered to do business in Missouri) filing and winning personal jurisdiction motions. Since the U.S. Supreme Court handed down Daimler AG v. Bauman 134 S.Ct. 746 (2014), personal jurisdiction defenses have experienced a renaissance in asbestos litigation. Defendants that wish to win such arguments, however, are well advised to heed a recent ruling by Judge Gibney, who presides over Rhode Island’s state court asbestos docket. In Bazor v. Abex Corporation et al., C.A. No. PC-10-3965 (R.I. Super. May 2, 2016), Judge Gibney issued a ruling that is instructive on what a defendant must do to preserve its right to contest jurisdiction, holding that a defense counsel’s “active conduct constitute[d] forfeiture of the defense of lack of personal jurisdiction.” The court referred to “forfeiture” as opposed to “waiver” because the defendant had properly asserted the lack of personal jurisdiction as a special defense. In this instance, the “active participation” included the following conduct during the two years and nine months between the filing of an answer and the motion to dismiss: filing an objection to the trial date, attending a plaintiff’s deposition, requesting and participating in the reopening of that deposition, participating in the deposition of the plaintiffs’ expert, objecting to the expert’s deposition on non-jurisdictional grounds, disclosing eight expert witnesses, filing 15 motions in limine, supplementing its expert witness disclosure, producing two expert witnesses for depositions, responding to discovery (without preserving the defense of lack of personal jurisdiction), supplementing its expert discovery, moving to compel the production of the plaintiffs’ bankruptcy trust documents, and participating in at least ten status/settlement conferences. In short, defense counsel’s very active participation in the litigation was so active so as to constitute “forfeiture” of a claim of lack of personal jurisdiction. Looking to federal jurisprudence for guidance, the court focused on defense counsel’s litany of activity over several years. Synthesizing federal decisions, the court identified two principal elements to weigh to determine whether a defense of personal jurisdiction is forfeited: (a) the delay in asserting the defense; and (b) the “nature and extent” of the defendant’s involvement in the case. The court noted that the first factor could be met by as little as four months’ delay; but reasoned that the second factor weighed more heavily than the mere passage of time. With regard to the second factor, the court cited defendant’s filing of an appearance, participation in discovery, attending and taking depositions, and filing and opposing motions as evidence of active participation. Notably, the court found that the defendant had created “substantial delay” without “a sufficiently meritorious reason” for failing to assert its defense for two years and nine months after the filing of its answer. The level of participation appears to have been the deciding factor; with special attention brought to “the fifteen motions in limine [defendant] filed which sought merits-based rulings” and the failure to continually assert the defense throughout the course of litigation. However, of concern is that the ruling did nothing to establish a “bright line” rule of precisely how much participation is “too much” so as to result in a forfeiture of a jurisdictional defense. It is unclear where this decision leaves litigants who need to participate in early discovery and who also want to preserve their jurisdictional defenses. Defendants who wish to maintain their defenses are faced with choosing from various interpretations of the Bazor decision, focusing on the assertion of their rights and carefully monitoring the level of their participation. 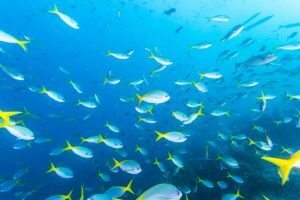 The decision could reasonably be read to indicate that a party may participate in discovery, but only if they continue to maintain and pursue their jurisdictional defense. Alternatively, some parties may refuse to participate in non-jurisdictional discovery for fear of inadvertent forfeiture. This may create friction with plaintiff’s counsel when their clients are in poor health, which frequently occurs in asbestos cases across the country. Ultimately, the lesson of Bazor may be that safest resolution for defense counsel will be to file and pursue dispositive jurisdictional motions as early in the case as possible. At the very least, defense counsel should raise the defense in pleadings and discovery which precede the filing of the motion to dismiss on jurisdictional grounds and/or reach some sort of agreement with opposing counsel to prevent forfeiture despite some level of active participation in the case. For example, defense counsel in the asbestos litigation should obtain a stipulation that attendance at an exigent deposition does not constitute a waiver of personal jurisdiction arguments; and that stipulation should be placed on the record. On May 25, 2016, the Illinois Supreme Court ordered the Fifth District Appellate Court of Illinois to hear Ford Motor Company’s appeal on a motion to dismiss for lack of personal jurisdiction, which had been denied by Honorable Judge Stephen A. Stobbs, the presiding asbestos judge in Madison County. Because Madison County has long been a magnet for out-of-state plaintiffs, this appeal could have widespread ramifications for out-of-state corporations, particularly those involved in mass-tort litigation. A ruling in favor of Ford would significantly impede plaintiffs’ ability to forum shop in plaintiff-friendly jurisdictions such as Madison County. In Jeffs v. Anco Insulations, Inc., plaintiff alleges that the decedent was exposed to asbestos-containing products through his work as a union insulator at various sites. Decedent worked at the Ford plant in Michigan for six weeks in the 1970’s, but was not exposed to any Ford product or facility in Illinois. In June 2015, Ford moved to dismiss for lack of personal jurisdiction. Ford relied primarily on the United States Supreme Court’s ruling in Daimler AG v. Bauman, which established that a court may assert jurisdiction over a foreign corporation “only when the corporation’s affiliations with the State in which suit is brought are so constant and pervasive as to render [it] essentially ‘at home’ in that forum State.” (This is an issue that we have blogged about before – California Court rules no jurisdiction over foreign parent corporations; No in state dealings for years – no jurisdiction; Out of state defendant? Out of state exposure? 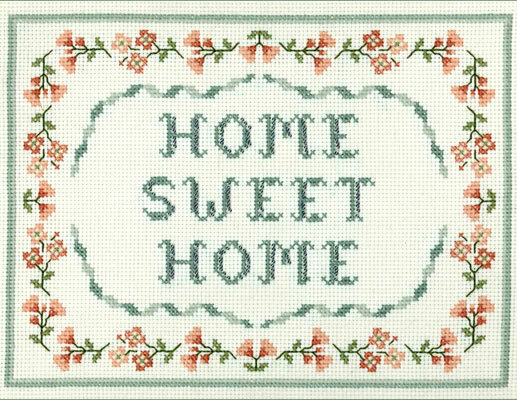 File suit somewhere else; and Registered in Delaware Is Not At “Home” There.) Under the Daimler analysis, a corporation is generally “at home” only at its place of incorporation or principal place of business. Because Ford’s state of incorporation is Delaware and its principal place of business is in Michigan, Ford argued that the court could not impose jurisdiction. In November 2015, Judge Stobbs denied Ford’s motion. Despite the standard articulated in Daimler, Judge Stobbs ruled that Ford is subject to jurisdiction in Illinois due to its substantial contacts with the state. Judge Stobbs noted that Ford conducts business in Illinois, owns real property in Illinois, has employees in Illinois, and has acquiesced to jurisdiction in Illinois in previous suits. Judge Stobbs further found that Ford provided “unequivocal consent to jurisdiction in Illinois” by virtue of its Illinois business license and appointment of a registered agent to accept process. To further bolster his decision, Stobbs relied on Ford’s recently filed brief in a separate case, Folta v. Ferro Engineering, in which Ford explicitly acknowledged its significant operations and monetary investments in Illinois. After Judge Stobbs issued his ruling, Ford sought leave to appeal the decision. On February 10, 2016, a three member panel of the Fifth District denied Ford’s petition. Undeterred, Ford filed a motion for a supervisory order with the Illinois Supreme Court, which the court granted. A supervisory order is granted only in limited circumstances when the lower court acted in excess of its authority or abused its discretionary authority. As such, the granting of this supervisory order suggests that the Illinois Supreme Court finds Ford’s position meritorious. A ruling in favor of Ford would undoubtedly be followed by an onslaught of personal jurisdiction motions, particularly for those out-of-state defendants caught in the web of Madison County asbestos litigation. Most of the active defendants have little or no connection with Illinois, and many cases involve non-Illinois exposures. In the interim, it remains to be seen whether Judge Stobbs will entertain any additional personal jurisdiction motions or simply stay them pending a ruling from the Fifth District Appellate Court.